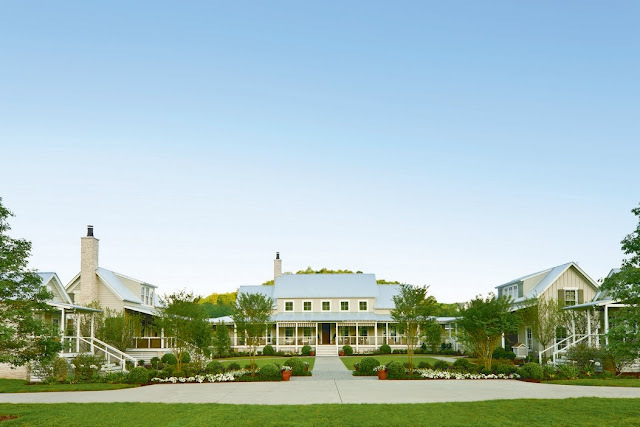 Earlier this week, I had a chance to attend a preview party for the 2013 Southern Living Idea House on the outskirts of Nashville, Tennessee. There is no denying that the home itself - really a collection of buildings, many connected by porches and breezeways - is impressive. Of those perennials, the only one that really caught my eye was a white Agapanthus. I don't know whether these will really endure in the landscape given that Southern Living's own description only rates the plant to zone 8 and we're at the cold end of zone 7 (or the warm end of zone 6 until the most recent USDA zone refresh). There were also some dwarf (5-8 H x 3-4 W) Early Bird crape myrtles that were charming in a modest sort of way. Southern Living claims these crapes start blooming earlier than most and that the bloom season continues for 100-120 days, which would be pretty darn impressive. The only plant that made me stop and take a photo was a limbed up Vitex agnus-castus (a.k.a. Chaste Tree or Monk's Pepper). This was also the only plant in the garden where I saw any pollinators (bumble bees, in this case). 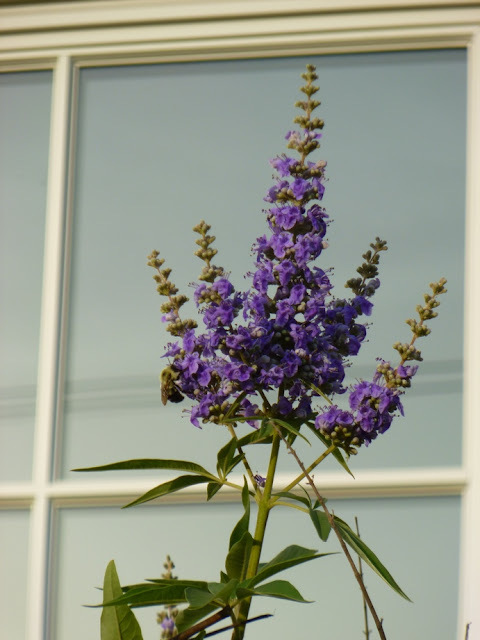 A single bumble bee (I believe) on a Vitex agnus-castus. There were actually two bees that I spotted on this Vitex, but I couldn't get them both in the same photo. They were the only pollinators I saw in the whole garden. 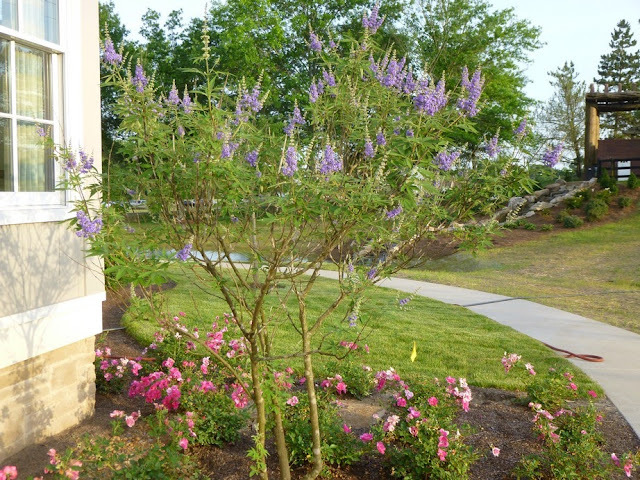 The Vitex was planted in a bed of roses, so it was interesting to see how the bees ignored the roses and went for the Vitex. I've observed on neighborhood walks that some of the most popular roses (Knockouts, for instance) seem to hold zero appeal for bees, but it was instructive to see that given a choice between Vitex and a single-flowered rose, the bees made a beeline (pun intended) for the Vitex. Just makes me like Vitex that much more. 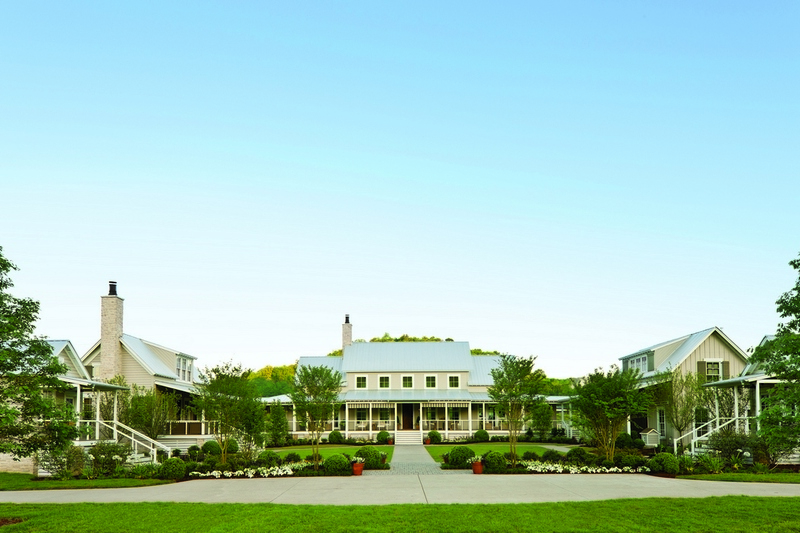 PS - If you're in the Nashville area and looking for architecture or interior design inspiration, tours of the home cost $12 with various discounts for children, seniors, military and students. A portion of the ticket proceeds reportedly goes to benefit St. Jude Children's Research Hospital.